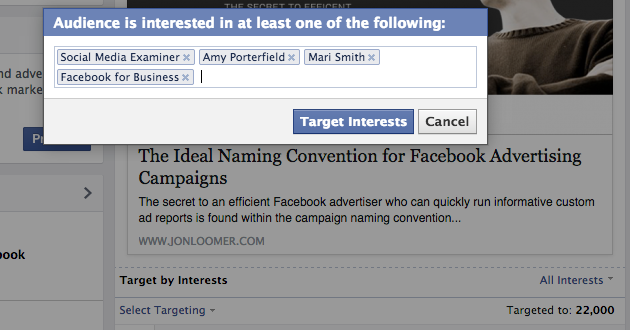 About a month ago, Facebook rolled out the ability for Facebook marketers to target organic posts by interest. Is this something you should do? I immediately started an experiment, and today I’m ready to share the results of the first phase. 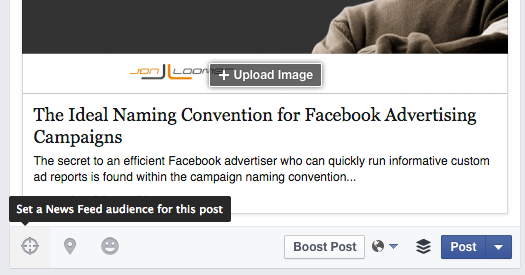 Does targeting your organic Facebook posts by interest result in more distribution? 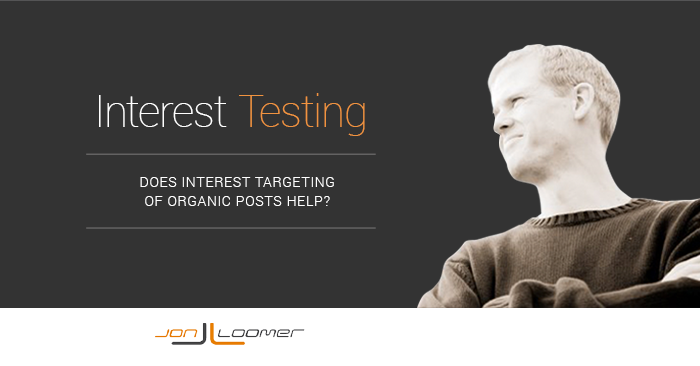 What is Interest Targeting of Organic Posts? 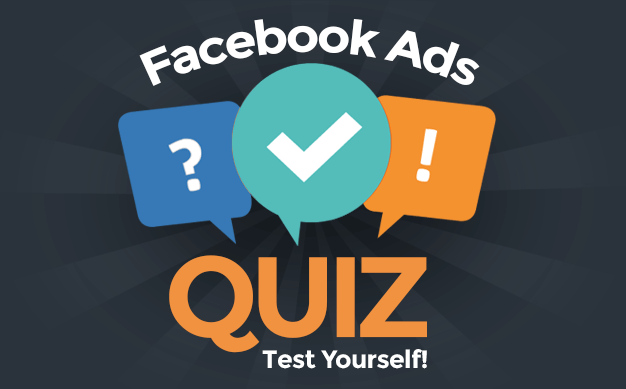 As you know, when running Facebook advertising there are numerous ways that you can target your ideal audience. One of those ways is through interest targeting, where you can show your ads to people based on the things they interact with on Facebook. But starting in December, this can also be applied to organic publishing by brands. Using interests, you can reach fans (only fans) who have specific interests. This may be helpful if you feel certain fans who have specific interests may be more valuable than others. When you do this, your organic post (no payment for ads) will only be shown to your fans who have those specific interests. In the first step, I simply wanted to see if ads equally distributed among fans with particular interests (or any interest) resulted in a higher engagement or conversion rate. If I find that there is a significant benefit, I will later start testing this organic interest targeting. 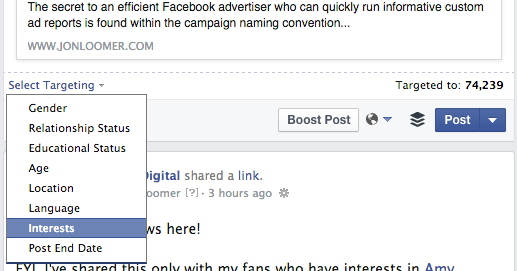 Note that the benefit needs to be significant because by using this feature you will further limit your audience. Each of these interests are very common among my fans and website visitors. I then used URL tagging so that I could identify which audience was targeted when traffic comes to my site. This way, I could not only see the traffic driven by the ad (what Facebook tells me), I could also learn more about the behavior of these people when they were on my site (what URL tagging + Google Analytics tells me). 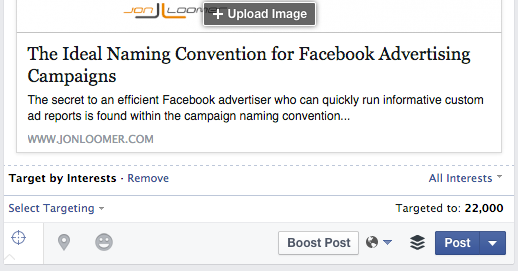 Finally, I tracked several conversions as well with Facebook conversion tracking. I spent approximately $192 on each of these ad sets. Following are the results of the first phase of this test — using ads to measure the engagement and conversion rate of my fans, some with specific interests and some not. Note that I’d normally care about metrics like Cost Per Website Click. However, in this case I was most concerned with the rate at which those reached clicked on the link (Cost Per Website Click can be heavily influenced by CPM). Additionally, I cared about what they did after clicking. So let’s take a look at the Website Click Rate by audience (Website Clicks/Reach). Note that I’m not using CTR (Click-Through Rate) because that looks at any click — not necessarily a click to website. Keep in mind that I was promoting a blog post in these cases with no clear call to action to opt-in or buy — other than the ads on the sidebar. So this was pure traffic, nothing else. I was not expecting conversions, but any conversions that happened would be a bonus. On one hand, my fans with interests in Amy Porterfield or Mari Smith in particular led to higher engagement and conversion rates. Those with an interest in Amy Portefield also led to less time on site. Let me say up front that I expected to get better results from fans who had specific interests. By separating those who have interests in related people and brands from those who don’t, I’m focusing on those who are more likely to be deep into my industry (no casual fans, friends, family, etc.). Let’s think about what happens when you target an organic post only at fans who have particular interests. While the rate of engagement may improve, you’re also limiting your audience — maybe significantly — by doing so. So if I focus only on one interest, I am cutting out between 44% and 79% of my total audience. If I target all four interests, I cut out 30%. The website click rate was a little bit higher when using interest targeting, but is it enough of a difference to warrant cutting out at least 30% of my audience from seeing my next post? The conversion rate was higher for other interests, but would I get more conversions — or just a higher rate — by targeting this way? My guess is it would only be a higher rate, but a smaller number. Finally, I found the time on site to be telling. Fans with the Facebook for Business interest were pretty close to worthless, spending less than half as much time on site as targeting fans with any interest. And I received better time on site across the board when not limiting by interest. I do struggle with this a bit. To make a change in my organic posting strategy, I wanted to see a noticeable advantage for doing so. There does appear to be an advantage — at least in rates. But will that result in more website clicks, opt-ins and sales? I can’t say for sure. We know how Facebook works. 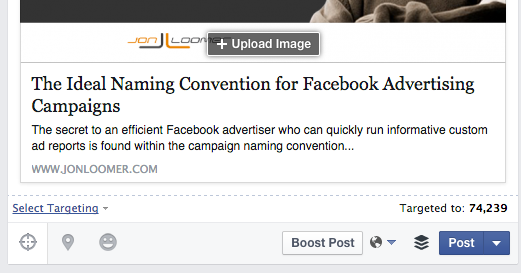 We know that if a post is getting great engagement, it will be shown to a wider group. So it’s possible — but far from conclusive — that limiting my initial audience by 30% or more could ultimately lead to more results. But I doubt it. I will now start experimenting a bit with some limited interest targeting of my organic posts, but I do not expect to stick with this for the long haul. Based on the results I’ve seen so far, I’m going to eliminate the Facebook for Business interest and run a limited test focusing on fans who interact with Mari Smith, Amy Porterfield or Social Media Examiner. That would eliminate 53% of my audience without those interests. I can’t yet bring myself to make a major change here, but I’m still leaving the door open to the next phase of this test. And my results don’t have any impact on whether this would work for you. I think this is something to be considered, particularly for brands that have a casual audience. Maybe you built your audience through contests, and many of your fans aren’t valuable. Maybe you bought fans. Or whatever the cause, maybe you simply get a very poor engagement rate from your fans. If Facebook doesn’t show your content to many of your fans, it could be because of these things. It may help by limiting the distribution of your posts to only fans who have particular relevant interests. It’s certainly something worth trying! Is interest targeting of organic posts something you’ve experimented with? What results are you seeing?